Hostel Arrabal is an old house with 3 storeys, a new modern design, spacious, lightfull and confortable. Its located in the neighbourhood of Montserrat, the oldest one in the city that now has become a tourist centre. Near the national and international bus station, train station and the travellers port as well as the more interesting tourist points. Walking distances to Puerto Madero, San Telmo, Recoleta, Palermo, Plaza de Mayo, the Congress, Florida & Lavalle streets (famous for its shops and street artists) like to museum, shoppings, theatres, clubs, bars and all nightlife. Double, triple and quad private rooms ensuite, big dorms with free lockers. All rooms have air conditioner!! 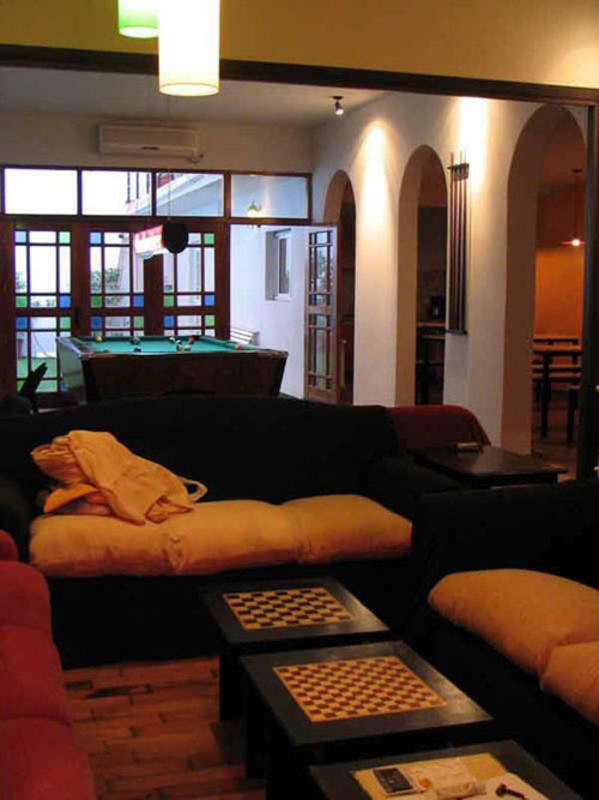 Facilities include three gardens, solarium, Resto-bar, free internet, wi-fi in rooms,Sat TV-DVD, pool table, barbeque, complete guests kitchen, climatization and central heating. 1.- We only receive guests older than 14 years old. Bus 8 (aeropuerto-la Boca) get off at Hipolito Yrigoyen & Salta walk 5 blocks. 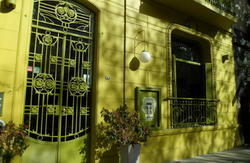 Transfer Manuel Tienda de Leon to Puerto Madero then as optional from there they can take the passenger to the hostel. Taxis to address Salta & Chile. Bus 33 get off at Retiro, take Metro line C get off at independencia station, walk 2 blocks to salta street. Train-bus terminal Constitucion - Retiro Metro line C get off at independencia station walk 2 blocks. Metro lines near hostel A, D, E.